External and internal risks significantly affect the sustainability of any organization. As the steward for a business, how do you begin identifying and addressing risk exposure? What are the unintended consequences of decisions related to identified risks? How would your assessment of risk be viewed by your auditor, and should you care? These questions and more will be addressed by Brandon Hill Haines as part of the CFO Academy on Wednesday, September 10, 2014 from 7:30 - 9:30 AM at the Jackson Student Center. The program fee is $30 in advance and $40 at the door. Free parking is available for pre-registrations. A light breakfast will be served. 1.5 hours of technical CPE credit are available to attendees. Brandon retired as an equity partner from CliftonLarsonAllen LLP at the end of 2012 with over 30 years of experience in conducting financial, forensic and internal audits. Additionally he was on the Board of Directors for the Anderson School Of Management Foundation from 2010 through 2013. In 2009 was the founding member of the CFO Academy. He continues to have an active leadership role in the CFO Academy. 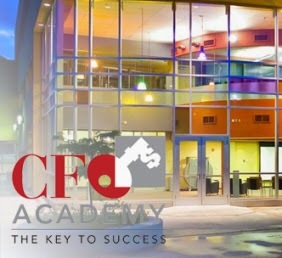 Established in 2009, the CFO Academy is a prominent community of finance leaders and decision makers who provide trusted knowledge, pertinent resources and peer-to-peer collaboration to New Mexico’s financial professionals.